The world today has graduated from the Age of Information Technology to the Age of Raw Data. Comprehending the power of this raw data and transforming it into essential knowledge is now the foundational principle for many corporate entities, across the globe. To misquote Uncle Ben from Spider-Man, with great data comes great responsibility and accountability. Considering the mammoth leaps in technology in recent years, the members of the European Union (EU) have constructed a new data framework, which not only assures users about the security and privacy of their data, but also holds businesses that capture and/or store consumer data of EU-residents accountable for privacy and security of such data. 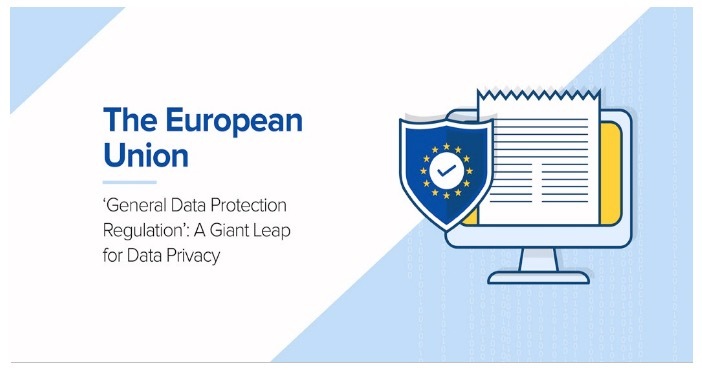 After 4-years of extensive discussions, debates, and dialogues, the member states of the EU adopted the New Data Protection Framework on April 8, 2016. The regulation will be in the form of General Data Protection Regulation (or GDPR, as it will be addressed from here). Replacing the current directive on data protection, GDPR will usher a new age of data security and privacy for the citizens of the EU. Applicable to all Member States without the need of a separate national legislation, the regulation comes into force on May 25, 2018. Uncertainty about the GDPR has been causing companies to delay their efforts to comply. The world’s largest population after India and China, the EU has 508-million inhabitants (including those of the United Kingdom). The recent advances in user services pertaining to web and mobile resulted in a significant amount of data export from the EU, frustrating the agencies and citizens, given the lack of body to address issues related to data security and protection. Clearly, the enforcement of the GDPR will warrant urgent changes at the operational end of many corporate entities, given no piece of information can now be attributed to a single user. Broadly speaking, Controller is the collector of data. • If your business deals directly with customers, you are likely collecting their data such as name, email, credit card information etc. This makes you a Controller. • You could then be working with another provider to process (store, archive, print etc.) that data, such as hosting provider, mail merge service, print service, payment gateway, etc. • All of those service providers are Processors in this case. They deal with customer data, indirectly, and yet, would be required to be comply with the GDPR norms. In the following sections, we shall address why your business needs GDPR. Is your business operating within the jurisdiction of EU? Are your business solutions securing user data? • The DPO, according to the guidelines issued in April 2017, will be reporting to the highest management level and should be residing in the EU. This is such an important post for all businesses. Data protection is one the most vital aspect of today’s business. There are different laws in different countries. It is necessary for businesses running in a particular country to have proper data protection mechanism for that country. Thanks for sharing, have agreat day.